I hobbled round that race and somehow managed to win! I had’nt really thought that it would have been my last race for more than a year!! my last race of 2010. The Champions of Ibiza! 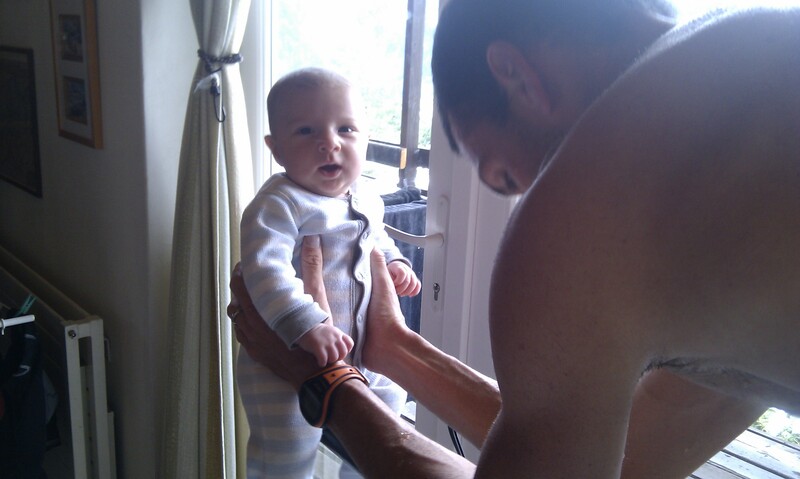 I was also meant to race Ironman Cozumel at the beginning of November 2010 but finding out I was pregnant 2 days before the race, for me was a simple decision not to start. In 2011 I watched many many races instead! I enjoyed watching them. It was so different as I had never watched races before! Many people thought I would find it hard to watch but actually I found it totally fine, I was happy to be growing our little baby and giving my body the rest it needed. 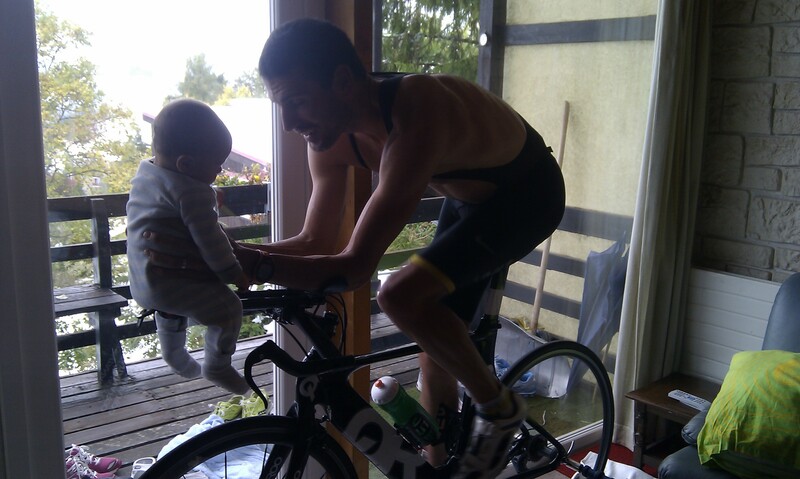 My belief that I would come back to race once the baby was out and I got back to fitness also kept me happy. 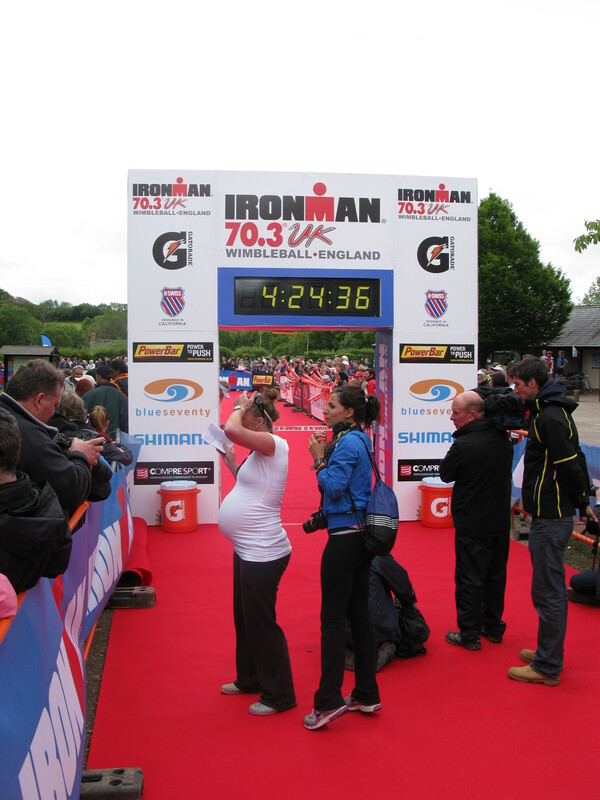 at 70.3 UK I actually helped Whit Raymond and Emma Jenkinson commentate. but this is me waiting at the finish line to see if it was going to be Stephen to make it a British win, or if it was going to be a Spanish win. Unfortunately for Stephen, it was a Spanish win. Now, baby Charlie is 10 weeks old! 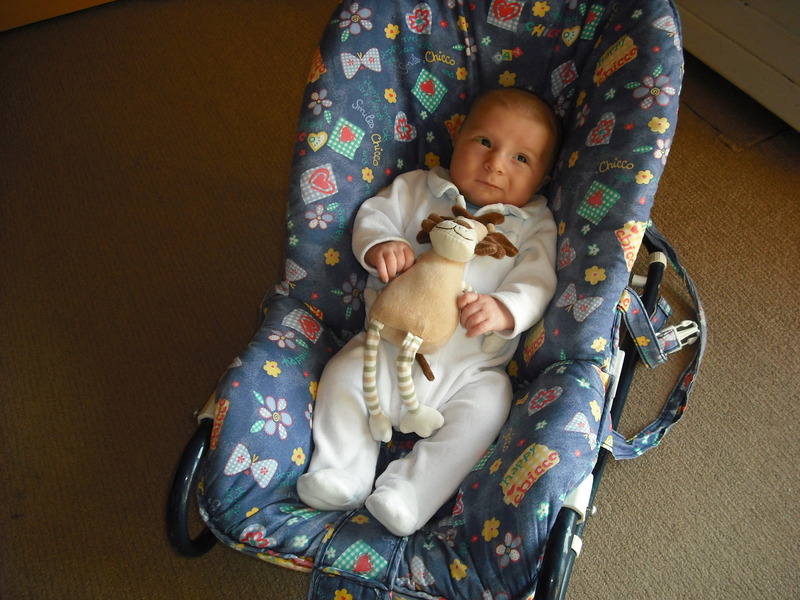 We think he is the most gorgeous little baby we have ever seen!! 🙂 He is a smiley and happy little boy and getting so strong! He might be handsome like Stephen but he does’nt seem to have inherited Stephen’s addiction to TV! Charlie likes to be really busy, like me! He likes to see as much as possible, he loves to watch the squad swim in the mornings, and he loves to keep moving. He hates it when we stop moving. Charlie is learning about the travelling lives we lead, he has already used his passport 3 times! baby Charlie posing with Larry the Lion! Although giving birth was no fun and traumatising, I have really forgotten most of the gory details! Now, life for me is even busier than before as I began training again about 5 weeks ago. My journey back to fitness has begun! I cant just walk out the door and train when I want, Charlie dictates my day, but within my day I am able to train with the help of Stephen. Stephen is a great Dad! He loves his little boy and loves looking after him when I go out. I had only been out the water for 5 weeks but the swimming I was doing during my pregnancy was very soft so I am only just beginning to get some strength back now. Riding seemed easier to get back into, although of course I have some way to go till I am strong for racing! Running felt the most strange. I suppose 6 months of no running would do that! I was so excited to get back running but on my first run I felt like my body had been filled with sand, it is getting easier now though. I really beleive that I will be back racing in 2012. My role modal, Sonja Tajsich is continuing to prove that having a baby and getting back to racing at the top is possible with her 7th place at Hawaii last week, along side her 3 Ironman titles since having her baby. I will be working hard at my fitness these next months, seeing my pregnant tummy dissappear and getting a fit strong body back all while enjoying life with our lovely baby Charlie.